Several months back, there was an article on Eater.com about interesting burgers in Atlanta. 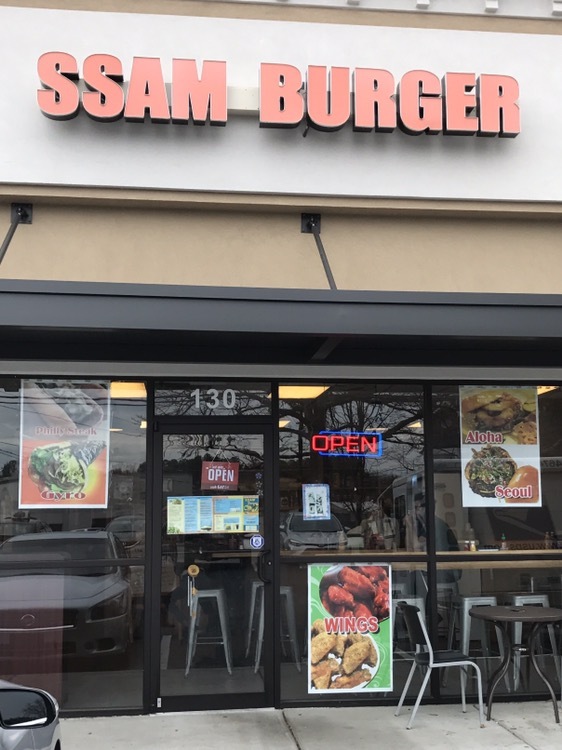 Ssam Burger, on Defoors Ferry popped up. I had not heard about it, but with our love of the Korean / taco fusion at Hankook, why wouldn’t we like a Korean / burger place? Located in a strip center, next to a cigar shop (that, amazingly, you can’t smell inside Ssam Burger), it was fairly easy to find – just past the intersection with Collier Road. We had spent the morning (and part of the afternoon) at the Scott Antiques Market, and were looking to grab a quick bite on the way home. 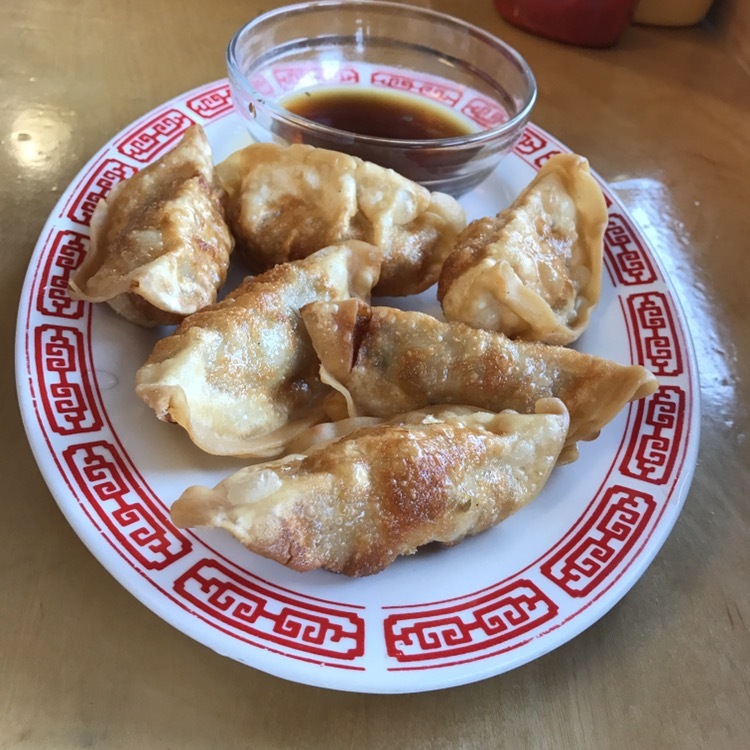 My beloved ordered the fried dumplings, filled with pork and cabbage. They were deep fried, as opposed to pan fried, but that was the only thing unexpected. They were crispy and tasty. 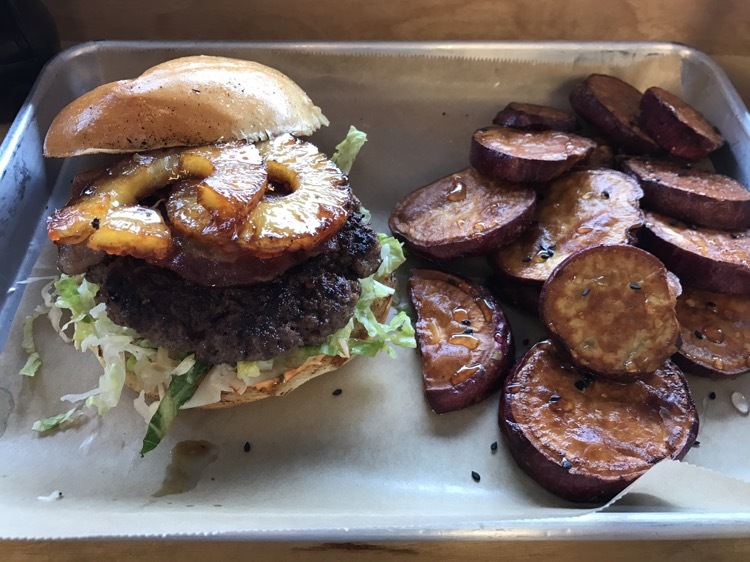 I ordered the Aloha burger – an Angus beef burger, topped with bacon and caramelized pineapples, sitting on a sriracha mayo slaw. I never would have thought about caramelizing pineapples, like you would onions, but it was a very good idea. The sweetness of the pineapple mixed perfectly with the salty bacon and the heat and crunch of sriracha mayo slaw. The burger was served with sweet potato chips (that were served too hot to eat, but didn’t last long once they cooled) that had been drizzled with honey. These were excellent. A thoroughly enjoyable place.